Is 2017 The Year Esports Gets The Global Recognition It Deserves? Home Gaming Is 2017 The Year Esports Gets The Global Recognition It Deserves? Although Esports have been enjoyed by enthusiasts – and many occasional viewers – around the world for years, it has so far failed to achieve mainstream recognition. 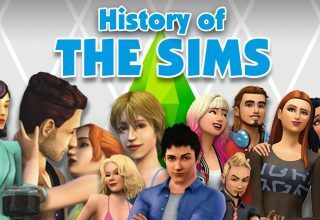 However, 2017 seems to be a pivotal time in the long history of Esports. As ever-evolving technology is transforming the world of online gaming, 2017 could well be the year ‘competitive gaming’ could finally get the global recognition it deserves. Here is why. 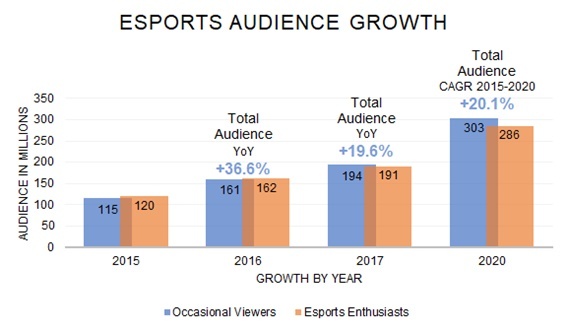 Esport audiences have been rapidly growing over the past four years according to New Zoo, with available Esports including anything from football to League of Legends. Tournaments include FIFA’s Interactive World Cup, ELeague Major and the League of Legends Worlds. Within these games there are many club-managed professional teams who are also sponsored by professional sports teams. The latest exciting entrance into the arena was made by Formula 1. They recently announced the launch of the first ever “Formula 1 Esports Series”, which will be an annually held event pitting gamers against one another using the new F1 2017 game. As mainstream media is catching up and beginning to televise Esport events and social media marketing is helping to attract potential viewers, global audiences have so far (according to Newzoo, a gaming research company) reached around 385 million viewers – a figure that is expected to climb to around 589 million viewers by 2020. This, of course, is lucrative business. 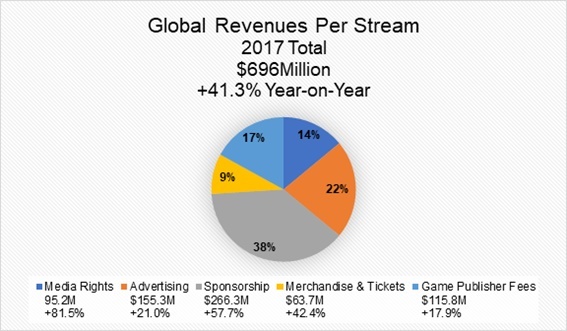 Newzoo research revealed that the total global Esports revenue for 2016 (including media rights, advertising, tickets, merchandising and sponsorships, but excluding any betting revenue/prize money) was $493million – representing a year-on-year growth of 51.7 per cent from 2015. So far in 2017, this revenue has grown by another 41.3 per cent to a staggering total of $696million. While slot machines may still hold onto their supreme reign in terms of online casinos playership, Esports are certainly gaining traction and achieving ever greater recognition in the wider sense of online sports, gaming and business. There has been a significant rise of individuals competing in online poker and blackjack. Online casinos are seeing significant growth due to their accessibility in popular culture they provide players with, from movies such as 21, to TV shows such as The Simpsons and music “Viva Las Vegas” by Elvis Presley. Online gambling accounts for more than 33% of all gambling in Britain. Some of the top earning players include Fedor Holz, Dan Cates and Jens Kyllönen, who have all earned millions from competitions. When comparing these winnings against Esports player prizes, betting tournaments reward significantly higher. With more brands getting behind E-tournaments we can only see prize pools increase in this market. 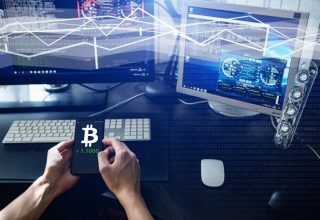 With the recognition and growth in the market, bookies are now allowing fans to place bets online for the player or team which they believe will win their match. 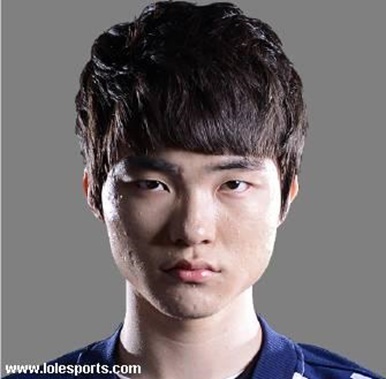 Esports athletes like Lee Sang Hyeok (known as “Faker”), the legendary LOL player from South Korea is being chased by fans for ‘selfies’ and autographs. He is said to earn around $2.6 million a year. 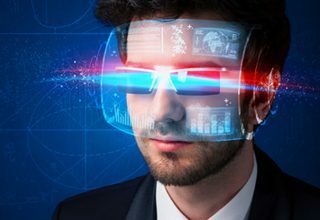 Recognition for Esports is further helped by researchers’ discovery that the hand-eye coordination speed needed for professional participants is approximately four times faster than that of an average person – which is something that has so far not been observed in other, ‘regular’ sports. Even table tennis does not require this kind of rapid hand-eye coordination. Combined with research (German Sport University, Cologne) revealing that Esports athletes are exposed to the same physical strains as ‘normal athletes.’ The amount of the cortisol stress hormone released during Esports is almost equal to the amount produced by racing drivers. It is of little surprise that more and more enthusiasts are pushing for this form of competitive gaming to be recognised as an Olympic sport. While the thought of this may be outrageous and bordering on ‘blasphemy’ for fans of athletes like Michael Phelps or Usain Bolt, for instance, it must be remembered that Esports are about as far removed from the generally imagined stereotype of gamers (lazy, acne-faced and bespectacled nerds slouching in front of computer monitors, moving a mouse and banging away on their keyboards) as it gets. Like snooker, darts, bowling and many other sports, Esports have struggled to get the recognition owed to them mainly because of the lack the pure physicality of sports like football, running or swimming. Sports are, nonetheless, about more than just power and muscle. They are about skills, strategy and finesse, traits that are vital to and shared by Esports and other sports struggling to be recognised. This fact has already been recognised in China, where Esports will be represented as official medal sports at the Asian Games to be held in Hangzhou, in 2022. Maybe this, the biggest step towards mainstream recognition for Esports so far, will be the catalyst for that long-overdue global recognition these exciting ‘virtual sports’ so rightly deserve.